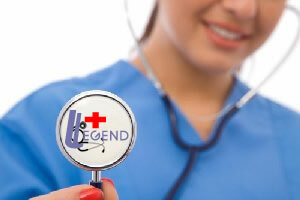 Each time you have contact with Legend Internal Medicine, Urgent Care and Diagnostics PA (the 'Association') for the delivery of healthcare; a record of your contact/visit is prepared. This record, maintained in written, oral or electronic format, contains protected health information (PHI). 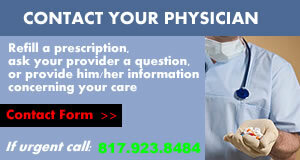 We understand that the information that is recorded about you and your health is personal. The Association is committed to protecting the confidentiality of your PHI. The confidentiality of your PHI is also protected under federal and state law. This Notice of Privacy Practices ('Notice') describes how the Association may use and disclose your PHI and the rights you have regarding your PHI. We are required by law to give you this Notice and to follow the terms of this Notice. 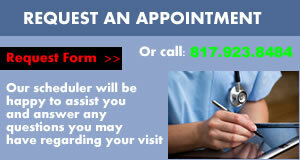 Treatment: We will use and disclose your PHI to provide, coordinate or manage your healthcare and any related services. For example, information obtained from you by a physician, nurse or other healthcare professional is documented in your record and used for the assessment, evaluation, diagnosis and treatment of your medical condition(s). Following your treatment, this information may be provided to other healthcare professionals who may be involved in your care, such as other physicians, specialists, physical therapists, hospital-based providers and/or other healthcare providers. Payment: Your PHI will be used, as needed, to obtain payment for your health care services. For example, PHI is utilized to justify the level of care delivered to you and the charges incurred for the services. This information generally accompanies the bill and is sent to your health plan or other third-party payers. Healthcare operations: We may use or disclose your PHI, as needed, in order to perform and support the Association’s routine health care operations. These operations include, but are not limited to, conducting quality assessment and improvement activities, reviewing the competence or qualifications of health care professionals, training health care and non-health care professionals, conducting legal and auditing services, conducting risk management activities and investigations, accreditation, certification, licensing, and credentialing activities. Appointments and Health-Related Management and Benefits: We may use or disclose your PHI, as necessary, to contact you to schedule an appointment or provide appointment reminders. We may also use or disclose your PHI to manage or coordinate your healthcare. We may contact you by phone or other means to provide results from exams or tests and to inform you about possible treatment options or alternatives, or to tell you about health-related services available to you. Business Associates: We may enter into contracts with entities known as Business Associates that provide services to or perform functions on our behalf. We may disclose PHI to Business Associates once they have agreed in writing to safeguard the PHI. Business Associates are also required by law to protect PHI. Healthcare Information Organizations: The Association may elect to use a health information organization or other such organization to facilitate the electronic exchange of information for the purposes of treatment, payment, or healthcare operations. To Others Involved in Your Healthcare: We may disclose your PHI to a family member or friend, who you have identified and that is involved in your medical care, or to someone who helps to pay for your care. If you do not want us to disclose your medical information to family members or others involved in your care, please inform a staff member. We may also use or disclose your medical information to notify (or assist in the notification of) a family member, legally authorized representative or other person responsible for your care of your location and general condition. This may include disclosures of your information to an organization assisting in disaster relief effort so that your family can be notified of your location and general condition. Other Permitted Uses and Disclosures: We are also permitted to use or disclose your PHI without your written authorization for the following purposes: As Required by Law; Public Health Activities (e.g., preventing the spread of disease); Health Oversight Activities; Abuse or Neglect; Food and Drug Administration Requirements; Research; Legal Proceedings; Law Enforcement; Coroners, Medical Examiners and Funeral Directors; Organ Donation; Criminal Activity; Military, National Security and Other Government Purposes; Serious Threat to Health or Safety; Worker’s Compensation; and Correctional Institutions. **Texas law requires that we provide you with notice that your health information may be subject to electronic disclosure. Use or disclosure pursuant to this Notice may include electronic transfer of your health information. There are also circumstances where Texas law requires more protection of your health information than stated in this Notice or required by federal law. In these situations, we will provide the additional protections that are required. For example, we comply with any additional confidentiality protections relating to communicable diseases such as HIV and AIDS. We also comply with any state law confidentiality protections specific to treatment for mental health and substance abuse. Any uses and disclosures of PHI not described in this Notice will be made only with your written authorization. Examples of uses and disclosures that require your authorization include (i) most uses and disclosures of your medical information for marketing purposes; and (ii) disclosures that constitute the sale of your medical information. You may revoke your authorization at any time provided the revocation is in writing, except to the extent that the Association has already taken action in reliance on your prior authorization. You have the right to inspect and receive a copy of your PHI: You may inspect and/or receive a copy of your PHI contained in clinical, billing and other records used to make decisions about you. Your request must be in writing, and we may charge you a reasonable fee for copying your information. If we use or maintain you records electronically, you may get a copy of that information in electronic format and ask us to send it to a person or organization you identify. To request your medical information, please contact the Privacy Manager. You have the right to receive confidential communications: You may submit a request in writing to the Association that communications regarding your PHI be provided to you in a certain way or at a certain location. For example, you may prefer to receive mail regarding your PHI at an address other than your usual mailing address. You may specify how or where you wish to be contacted. You have the right to ask us to amend your PHI: If you believe your PHI created or maintained by the Association is incorrect or incomplete, you may request an amendment to your information. To request an amendment to your PHI, please contact the Privacy Manager. We may deny your request to amend information if the information was not created by us, maintained by us, or if we determine the information is accurate. You have the right receive an accounting of certain disclosures made of your PHI: You may request a listing of certain disclosures that we have made of your PHI to entities or persons outside of our office. To receive such a list, please contact the Privacy Manager. You have the right to request a restriction on the use or disclosure of your PHI: You may request limitations on how we use or disclose your PHI. For example, you may ask us not to use or disclose any part of your PHI for the purpose of treatment, payment or healthcare operations. Such a request must be in writing. We will consider your request but, in most cases, are not legally obligated to agree to the restriction (e.g., if the use or disclosure is necessary in order to provide you with emergency treatment or is otherwise required by law, your PHI will not be restricted). However, we will comply with any request to restrict the disclosure of PHI to a health plan for purposes of payment or healthcare operations (not for treatment) if the PHI pertains solely to a healthcare item or service that has been paid for out-of-pocket and in full. You have the right to receive a paper copy of this Notice upon request: even if you have agreed to accept this notice electronically. You have the right to be notified of a breach: You have the right to be notified in the event that the Association (or one of our Business Associates) discovers a breach of your unsecured PHI, and determines through a risk assessment that notification is required. If you have any questions or want more information about this Notice or how to exercise your privacy rights, you may contact the Association’s Privacy Manager at (972) 745-7500. If you believe your privacy rights have been violated, you may file a complaint with the Association or the Secretary of the U.S. Department of Health and Human Services (HHS). 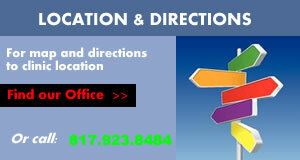 To file a complaint with the Association, you may contact the Privacy Manager at (972) 745-7500. To file a complaint with HHS, you may contact the Office for Civil Rights, U.S. Department of Health and Human Services, 1301 Young Street, Suite 1169, Dallas, Texas 75202 (1-800-368-1019). We will not retaliate against you for filing a complaint.